We are delighted to involved with Long Division Fringe again this year. We've teamed with our friends Clue Records, Of National Importance Records and Sticky Shoes to bring you the King Street Krawl. 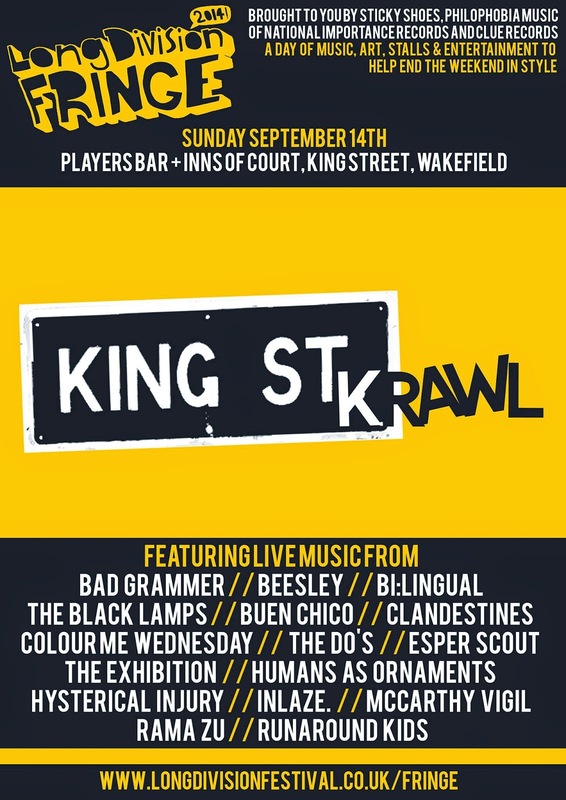 Taking place on Sunday 14th September, as the name suggest the event will take place on King Street, predominantly taking places in the two fine establishments on the street. They are obviously Inns of Court and the newly reopened Players Bar. There will be other stuff going on which will be confirmed shortly.